The latest edition of The Port of Hong Kong Handbook & Directory can now be viewed online from the home page of Hong Kong Maritime Hub. 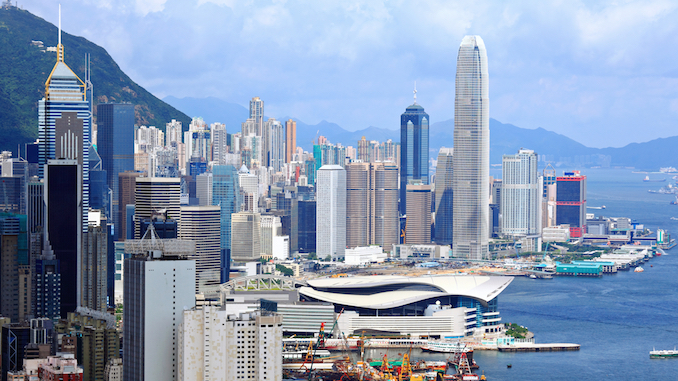 For decades Hong Kong has been a leading maritime centre serving China and the region. In the last two or three years however there has been a growing awareness that its best years are no longer behind the maritime centre but ahead of it. The last 10 years have been tough for shipping and the businesses that serve it. During the early years of the global downturn Hong Kong endeavoured to stick to the tried and tested go it alone approach to business that had always brought it success. More recently Hong Kong’s maritime community decided that there had to be another way. A way that would require deeper cooperation, more meaningful dialogue and more joint solutions, between businesses, between sectors and between the industry and government. The most tangible example of this new spirit of cooperation was the establishment of the Hong Kong Maritime and Port Board, a joint industry/government body charged with policy formulation and industry promotion, in 2016. In the same year Hong Kong held its inaugural Hong Kong Maritime Week both as a showcase for Hong Kong’s prowess as a maritime service centre, and a platform on which to discuss the most important issues of the day with domestic and overseas companies and NGOs. The first Maritime Week was a remarkable success despite being organised in a rush, with close to 30 events running concurrently throughout the week. The 2017 Maritime Week completely outstripped expectations with nearly 50 events held during the week including events by international big hitters such as Tradewinds, Lloyd’s List and Mare Forum. Just half way through 2018 and Hong Kong has already played host to the International Chamber of Shipping and The Asian Shipowners Association, both of which decided to hold their Annual General Meetings here. In November 2018 the World Ocean Council will hold its annual summit in Hong Kong. In October the Global Maritime Forum will present its inaugural international conference. And no doubt, the third Hong Kong Maritime Week will be bigger than ever. But such events are merely the tip of the iceberg. In contrast to a few years ago the level of knowledge sharing has gone stratospheric, as the maritime community has been caught up in the zeitgeist. Barely a day goes by without a Hong Kong Shipping Association technical seminar, a legal briefing from a maritime law firm, a social night for Young Professionals in Shipping or an awards ceremony for excellence in one field or another. In short Hong Kong Maritime is buzzing and the world is listening. There has never been a better time to be a part of the Hong Kong maritime cluster. We are immensely grateful to be part of it.